For the original article by Bernardo Mello in Portuguese published in O Globo click here. Saturday, February 13. A burst water pipe inside the Olympic Park created a quagmire that overflowed into the Vila Autódromo Neighborhood Association headquarters, situated next to the Olympic construction grounds in the Barra da Tijuca neighborhood of Rio’s West Zone, and the building was completely emptied out. It was a precursor to what would occur eleven days later, this Wednesday, when the Association was evacuated once and for all so that it could be demolished, following the city’s acquisition of an order of eminent domain. The incident could be interpreted as a standard workplace accident and response. According to the city government, employees of the company responsible for the construction assisted in the cleanup of the building. But there is a symbolic dimension as well: the all-consuming desire to promote the 2016 Olympic Games has ignored less traumatic options for residents of the community, reduced to roughly 50 families, less than ten percent of its size in 2013 before the evictions began. 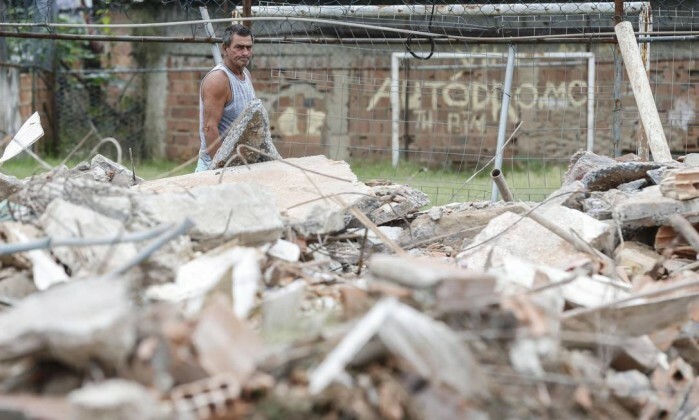 “There have been unnecessary home demolitions in the heart of Vila Autódromo. We have shown that it would be possible to widen the access roads to the Olympic Park while affecting many fewer than have been affected. There is no technical or economic rationale that justifies so many evictions–just social prejudice. They made the avenue pass right on top of people in order to cleanse the area for real estate speculation. It’s social cleansing that is driving the widening of the roadways,” says Carlos Vainer, professor at the Institute for Urban Planning and Research (IPPUR) at the Federal University of Rio de Janeiro (UFRJ). Vainer helped to coordinate the Vila Autódromo People’s Plan, undertaken in partnership with the Center for Urban and Housing Project Studies (NEPHU) of the Fluminense Federal University (UFF) and with residents of the community itself. The first version of the plan, circulated in 2013, estimated the cost of urban upgrading for the community at R$13.5 million, to include environmental restoration along the banks of the lagoon and the on-site resettlement of 82 families within the community. The Neighborhood Association would remain on its original site, sharing space with a daycare center. A study performed by Rio city councillor Teresa Bergher of the Brazilian Social Democratic Party (PSDB) shows that, counting only compensation for evicted residents, the city government has already spent nearly R$208 million since 2014. The cost is sixteen times greater than originally projected in the People’s Plan and, when compared to investments made in Olympic arenas, is only exceeded by the Aquatic Sports Center, budgeted at R$217.1 million. Vainer complains that the City never gave much attention to the project, nor did they ever present a plan of their own. Mayor Eduardo Paes says he will only present a proposal for upgrading the area once the evictions have been completed. No one knows when this will be. “There has been a lack of transparency in the eviction process in Vila Autódromo. I called attention to the cost discrepancies, since for some houses the city government wound up paying millions, while for others, just R$40,000. Currently, the Public Register reports expropriations in block, so we don’t know the value of each individual expropriation. 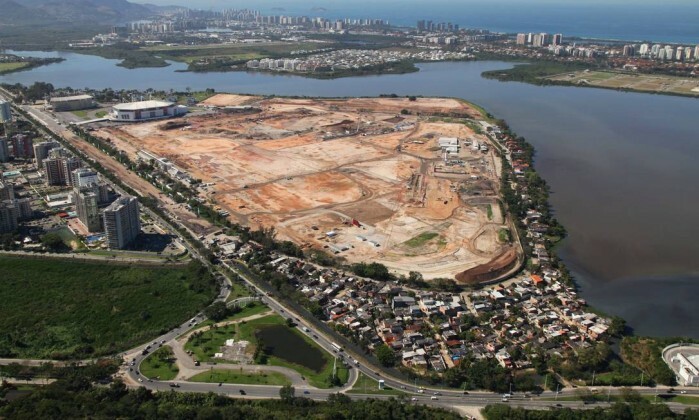 We only learn the values that apply to Vila Autódromo when we open a case in the Unified System for Protocol Control (SICOP),” claims councillor Teresa Bergher. The Rio city government had not responded to emails or phone calls by the time this article went to press. 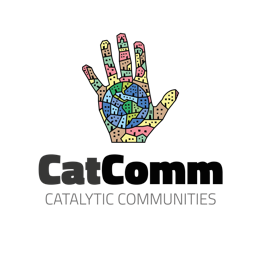 This Saturday, February 27, an updated People’s Plan for upgrading the community will be presented. Between now and then, more evictions may occur. According to the Rio Public Defenders Office, there are still four houses in areas listed on the order for expropriation. Two of them were fenced off within the siding erected around the perimeter of the Olympic Park, and can only be accessed with credentials provided by the Sub-Mayor’s Office in Barra de Tijuca. On February 12, Mayor Eduardo Paes confirmed that both houses could no longer remain where they stand. “I get the feeling that at any time I might return home to find my house no longer standing. We are making them angry. When they get very angry, they are going to knock everything down, you can be sure of that,” said Marcia Lemos, a 59 year old event decorator and resident of one of the isolated houses. João Helvécio, coordinator of the Land and Housing Nucleus (NUTH) at Rio’s Public Defenders Office, criticized what he considers the excessive intrusion of the city government in Vila Autódromo. On Wednesday, according to residents, a Municipal Guard in plain clothes went into 50 year-0ld cleaner Maria da Penha’s home–one of those on the expropriation order–and started taking photos without permission. The City hasn’t responded to Globo‘s requests for clarification. Helvécio argues that the City had no right to negotiate evictions, since land titles were distributed by the Rio de Janeiro State Government during the 1990s. 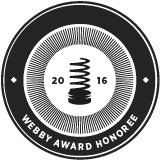 This article was written by Bernardo Mello, and published on February 25, 2016.